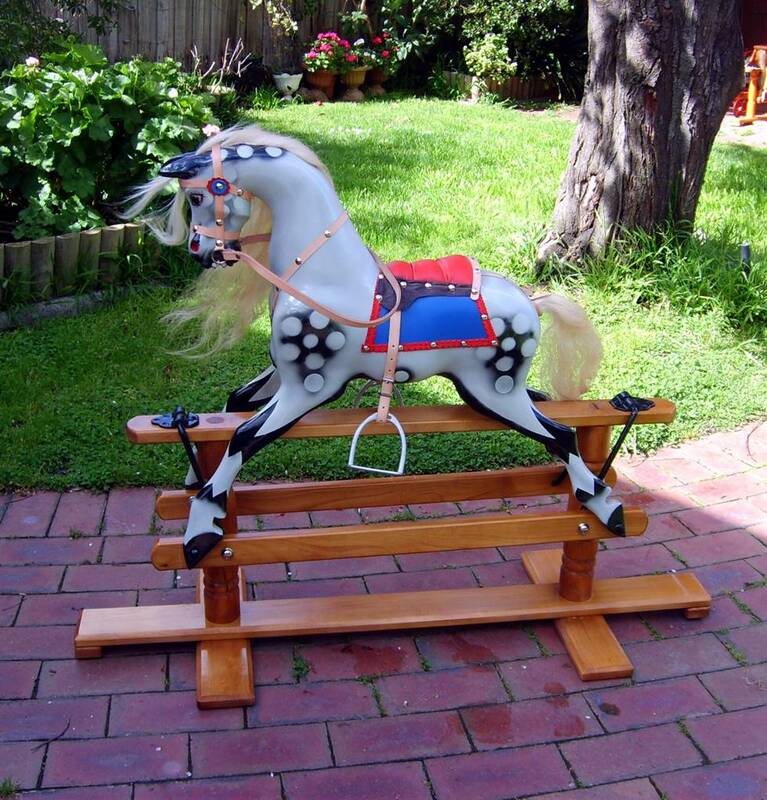 Australia’s second largest Rocking Horse maker. The Bartlett Rocking Horse business arose through the cabinet making business of its founder Robert Bartlett in 1913. Robert Bartlett served his apprenticeship as a Cabinet Maker; he later left the company and started out in his own Cabinet Making Business and eventually the Rocking Horses become the primary business. The Bartlett Rocking Horse has the definite refined English influence of the G&J Lines Rocking Horses. Bartlett not only made Rocking Horses; they made carousel horses and other children’s toys. The Semaphore Carousel in South Australia has Bartlett horses on it. After Robert retired, his son Jack took over the business and ran it till 1963 when they closed the doors to the factory; they continued to produce horses till around 1974 when his wife died. He then only did the occasional horse or repair till some time into the 1980’s when Jack eventually died.